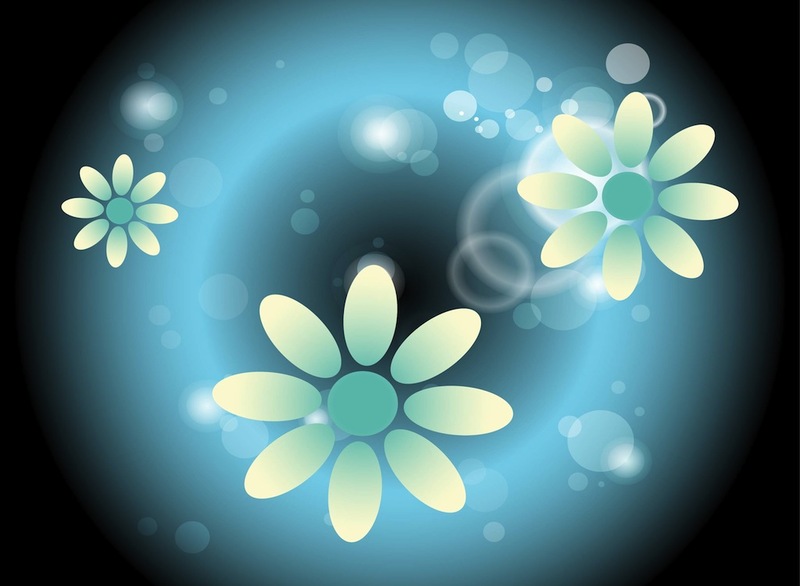 Floral vector artwork with blooming flowers and abstract lights. Blurred bokeh and flower blossoms with multicolored petals. Different sizes of the bokeh lights and flowers. Free vector footage to create spring, flowers, nature, floral, plants, florists and organic designs. Download flowers for posters and backgrounds. Tags: Bokeh, Circles, Floral, Light, Plants, Spring.